Small and mild bubble in the medium blonde-gold color. Yeast, baked nuts, citrus and fig flavors with a bit chewy texture (w/o bubbles). Light blonde. 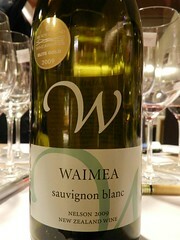 Typical New Zealand Sauvignon Blanc. Black currant leaves, lemon and light melon skin. Medium-high acidity. Light+ blonde. 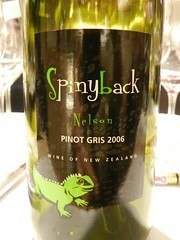 Surprising Pinot Gris due to its distinct petrol/mineral nose, very different to those from Alsace and Italy. Good. 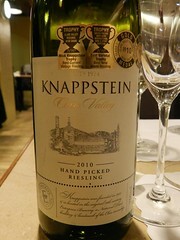 Hand picked Riesling contributes the elegant flavors and acidity balance. Begin with the mineral and orange flavored acidity. Shows honey and bouquet while the temperature goes higher. Good. Personally think this is the best one of today. 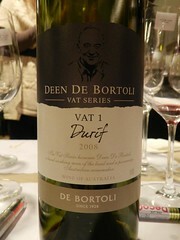 This Durif/Petit Syrah shows deep ruby color with purple rim, and nose includes jammy fruit flavors, leather, and black pepper hint. Although the tannin is high and young, the mouth feel is still comfortable. 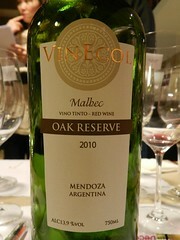 The medium+ acidity, tannin and the dense fruity shows its aging potential (I think 5 yrs aging is not a problem). Good. Although I think the viticulture style of this winery is a bit over, this long maceration Malbec do show the charming bouquet. Nose also includes over-ripe black berries, vanilla, and leather. The tannin mouth feel is a bit rough. 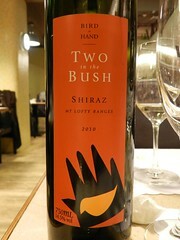 Similar to the 2008 Durif, but this Shiraz shows bigger structure, fuller body and denser nose. Leather, berry jams, bouquet and light butter. Too early to drink, need at least 3 yrs aging. 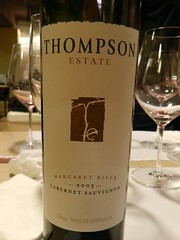 Not as energetic and active as other Australia Cabernet Sauvignon, this one shows a implicit and undertone style. 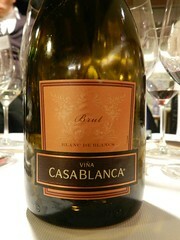 Leather, light green pepper, berries, oak barrel. The palate is very lingering… Good.